We’ve followed the explosion in popularity of 360 video/VR closely and recently added 360 video to our services. We are technology optimists, love disruptive innovation and are always looking for new ways to tell stories. New mediums don’t come along (and stick around) often. We’ve had radio in the 1920s, TV in the ‘30s and digital in the ‘80s. Smartphones, streaming content and video on demand were the biggest developments in media since home video. Virtual and augmented reality are up next. After a false dawn back in the 90s, suitable technology has become available and interesting opportunities are opening up in VR. Big corporations have invested heavily. VR could change the way we watch, share and create video content. VR promises artificial control of our instincts to create immersive experiences that we may never have access to. The Nokia Ozo with 360-degree audio and video capture. Using a single camera with multiple sensors and lenses, or rig of multiple cameras (i.e. GoPro Odyssey) filmmakers can create 360 video. The images should be recorded at a high resolution and frame rate then ’stitched’ together in post-production to create a 360 video. 360 videos are easily accessed through smartphones apps (Jaunt VR, NYTVR) or on desktop web browsers (Google Chrome) via YouTube’s 360 channel or Facebook. 360 is not technically VR. A 360 video becomes VR when it is viewed inside a headset – known as an HMD (head mounted display) – and a separate stream is delivered to each eye. People are already using HMDs such as Google Cardboard, Oculus Rift (as seen in the blog header), HTC Vive for immersive VR experiences. We’ve tried Google Cardboard, Samsung Gear and Oculus Rift. Oculus Rift and HTC Vive provide the best VR experience, but they are pricey and you need a powerful computer to run them. The total cost can be £1500+. True VR is unlikely to achieve mainstream popularity until the price drops significantly. If you are VR curious, our recommendation would be to get your hands on a cheap HMD like Google Cardboard, then download the NYT VR and Jaunt VR apps for your smartphone. People love compelling stories. A great film can transport the viewer into the conscious of another person or even provide a transformative experience. Successful VR is about immediacy and immersion, rather than dynamic camera moves or precise cuts. You have to put the viewer in the a story. Great narrative VR suspends disbelief through world building. It’s more appropriate to draw comparisons with gaming or immersive theatre than cinema or video. The more autonomy the user feels, the more immersive the experience will be. It’s not possible to control where your viewer is looking though. More autonomy means less narrative drive. There is something happening and the viewer can choose to engage with it or not. 360 video has been available via Facebook since 2015 and they have stated that “360 video on Facebook is the first step’ toward developing a VR experience for it’s users. The statistics have been encouraging. A recent case study which measured 360 against traditional video delivered interesting results. Cost per 1,000 impressions (CPM) was lower ($4.20 vs. $1.74), click through rate (CTR) was higher (4.51% vs. 0.56%), average percentage viewed was higher (28.81%) and double the number of viewers watched the video to 100% – all in favour of the 360 video. 360 video and VR have already become useful marketing tools for brands including National Geographic, NASA and Red Bull. By February 2016, Facebook users had already consumed over one million hours of VR video using the Samsung Gear. Some subject matter lends itself to 360 video more than others. Consider why your brand should be in this environment? How does creating in 360 or VR change the consumer’s experience with your brand? VR can also be a great social or shared experience. Brand launch events or film and music festivals have seen headsets passed around between users. 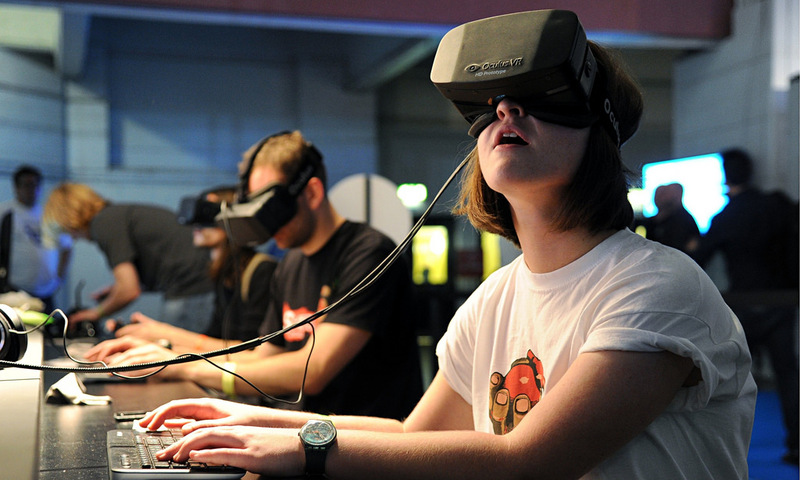 The key advantage with VR is that immersion means the audience is truly captive. This is invaluable for brands. The number of use cases of VR in advertising and communications is still small but steadily growing. Now is a good time to test your imagination. Contact us with any questions you have and to discuss working together on a 360 video. Here is an article from AdWeek in May 2016 featuring the 10 Most-Viewed 360-Degree Facebook Videos by Brands. Next PostWhat Type Of Video Achieves 36% Higher Social Media Engagement?